Objectives: The management of patients on anticoagulation therapy is challenging. The objective of this study was to conduct a systematic review to establish the effectiveness of hemostatic interventions to prevent postoperative bleeding following dental extractions among patients taking warfarin. Methods: A systematic review of the literature was conducted using PubMed, EMBASE and the Cochrane Central Register of Controlled Trials databases and applying relevant MeSH terms. Identified studies were screened independently by 2 reviewers using the following selection criteria: tooth extraction, patients taking warfarin as the only anticoagulant, randomized controlled trials and a hemostatic intervention. Results: Six articles were included in the final review, all evaluating different interventions. Oral or local hemostatic agents were compared in 4 studies where patients continued taking warfarin before and after the procedure; in 3 studies, there were no differences between the agents in preventing postoperative bleeding and, in 1, Histoacryl glue was superior to a gelatin sponge. Two studies compared warfarin continuation with temporary discontinuation and found that continuation did not increase the risk of bleeding in patients who had an international normalized ratio (INR) within the therapeutic range. Conclusions: Patients with an INR within the therapeutic range can safely continue taking the regular dose of warfarin before dental extractions. There is no evidence to support or reject the superiority of local hemostatic agents over warfarin discontinuation. Current management of dental extractions in patients on anticoagulation therapy is still a challenging and controversial area for dental professionals. The perceived risk of bleeding among these patients is usually weighed against the risk of thromboembolic events, both of which could have severe consequences.1 Oral anticoagulants are usually prescribed for patients with previous thromboembolic events (e.g., stroke, myocardial infarction, pulmonary embolism), atrial fibrillation, prosthetic heart valves and peripheral vascular disease.2,3 The clinical management of these patients is generally complex because they are usually older, have multiple comorbid conditions and are taking multiple medications. In dental patients, a variety of oral and local hemostatic agents, such as tranexamic acid oral rinse, cellulose and gelatin foams, applied locally, have been used as physical matrices to aid clotting initiation.2,11 Although the effectiveness of these agents has been evaluated in various clinical trials, no systematic review has focused specifically on patients taking warfarin and undergoing tooth extraction. Considering the evolving clinical recommendations and the existing gap in the literature, the objective of this study was to conduct such a review to establish the effectiveness of hemostatic interventions in preventing postoperative bleeding following dental extractions among patients taking warfarin. Participants: Patients taking warfarin and undergoing tooth extraction(s). Studies of patients taking forms of anticoagulant medication other than or in addition to warfarin, undergoing oral surgical procedures other than extractions or having an increased bleeding tendency because of chronic liver or renal disease or genetic bleeding disorders were excluded. Intervention: Discontinuation of warfarin, any hemostatic agent including (but not limited to) tranexamic acid mouthwash, Histoacryl glue, gelatin sponges, resorbable cellulose meshes, resorbable sutures, autologous fibrin glue and commercial fibrin adhesives. Control: Continuation of warfarin or dose alteration, addition of a hemostatic agent. Outcome measures: Postoperative bleeding following tooth extraction and outcomes of bleeding events. A literature search was conducted using PubMed, EMBASE and the Cochrane Central Register of Controlled Trials databases from the time of their inception to April 2014. This was done with the help of a University of Toronto research librarian. Articles were retrieved by combining database-specific search terms for warfarin, bleeding or hemorrhage, specific hemostatic agents and hemostatic agents in general and tooth extraction. The search was then limited to RCTs and human studies. See Appendix 1 for the detailed search strategy used in PubMed. At all stages — review of title, review of abstract, full-text review, assessment of quality and data abstraction — each study was assessed independently by 2 reviewers (4 reviewers in total: NJ, JC, DD, AK). Disagreements were resolved by consensus and consultation with other authors (YA, LA, AA). When deemed necessary, the team contacted the corresponding authors of the published articles. We assessed the quality of the trials included in the final review using the Cochrane Risk of Bias Tool.13 In brief, we evaluated 6 domains (namely sequence generation, allocation concealment, blinding, incomplete outcome data, selective outcome reporting and other issues) based on what was reported to have happened in the study. Then, we assigned a judgement of the risk of bias (high, low or unclear) to each domain. Information retrieved from each selected study included sample size, demographic data (age and gender), INR values at baseline, number of teeth extracted per patient, description of the hemostatic interventions, outcomes data and conclusions. The plan was to conduct a meta-analysis to evaluate the effectiveness of hemostasis if any of the studies compared similar hemostatic agents. Blinding was the single domain where all studies had a high risk of bias (Table 2). A low risk of bias was assigned to domains that evaluated completeness of outcome data, selective reporting and other sources of bias. Table 1: Characteristics of the 6 studies included in the systematic review. Note: n/a = not available, INR = international normalized ratio, UK = United Kingdom. *Range is listed when the mean number was not reported. *+ = high risk, − = low risk, ? = uncertain. Compared interventions and study outcomes are summarized in Table 3. Oral or local agents were compared in 4 studies19-21,23 where patients continued taking warfarin before and after the procedure. Two studies17,22 compared warfarin continuation with temporary discontinuation. In general, all 6 studies compared different interventions. This heterogeneity in treatment modalities precluded us from conducting a meaningful meta-analysis. Table 3: Description of interventions and outcomes of the 6 studies reviewed. Al-Belasy and Amer19 Experimental: Patients continued warfarin, and sockets were dressed with Histoacryl glue (n-butyl-2- cyanoacrylate) after extractions Control: Patients continued warfarin, and sockets were dressed with gelatin sponge after extractions Negative control: Patients were never on warfarin, and sockets were dressed with gelatin sponge after extractions Experimental: 0 (0.0%) Control: n = 5 (33.3%) (2 on day 2; 2 on day 3; 1 on day 5) Negative control: 0 (0.0%) p = 0.016, control vs. experimental p = 0.046, control vs. negative control Patients on warfarin can safely undergo extractions without changing their anticoagulant regimen, provided that an effective local hemostatic method is used, such as Histoacryl glue. Dental extractions can be carried out safely among patients on warfarin without alteration of the anticoagulant dosage, as long as the INR is ≤ 3.0 and effective hemostasis is achieved. Suturing plays no significant role in achieving hemostasis and should be used only when needed. Group 2. Continued warfarin treatment; no sutures placed. Carter and Goss20 Group 1: Patients continued warfarinandused4.8% tranexamic mouthwash for 2 days after tooth extraction, 4 times/day for 2 minutes Group 2: Patients continued warfarin and used 4.8% tranexamic mouthwash for 5 days after tooth extraction, 4 times/day for 2 minutes Bleeding on day 2 after extractions: Group 1: 2 (4.7%) Group 2: 1 (2.4%) p = 0.57 Both regimens of 4.8% tranexamic mouthwash were effective at controlling local hemostasis in patients on warfarin. Carter et al.21 Group 1: Patients continued warfarin; sockets were irrigated with 4.8% tranexamic acid mouthwash; resorbable cellulose mesh soaked in the mouthwash was then placed in each socket; and mouthwash rinse was continued for 7 days after extraction, 4 times/day for 2 minutes Group 2: Patients continued warfarin; 80 mL blood sample was collected from patients 1–2 weeks before surgery to prepare autologous fibrin glue (AFG), which was then applied to socket walls, wound site and over sutures Bleeding on day 2 after extractions: Group 1: 0 (0.0%) Group 2: 2 (8.7%) p = 0.12 Dental extractions can be performed without alteration to existing anticoagulant treatment. Both tranexamic acid mouthwash and AFG are similarly effective in preventing postoperative bleeding. Evans et al.22 Experimental: Patients continued warfarin Control: Patients discontinued warfarin 2 days before extractions and resumed same dose after the extraction Postoperative days when bleeding occurred were not specified. Experimental: 15 (26%) Control: 7 (14%) p = 0.10 The observed difference in bleeding rates was not clinically significant. Dental extractions can be safely done in a hospital setting without changing warfarin regimen if INR is < 4.1. The routine discontinuation of warfarin before dental extractions should be reconsidered. Halfpenny et al.23 Experimental: Patients continued warfarin; after the extraction, sockets were dressed with Beriplast P, a fibrin adhesive Control: Patients continued warfarin; after the extraction, sockets were dressed with Surgicel, a resorbable oxycellulose dressing Bleeding on day 1 after extractions (numbers too small to test for significance of difference): Experimental: 2(10%) Control: 1(3.8%) Both local hemostatic agents, Beriplast P and Surgicel, are effective in achieving local hemostasis among patients on warfarin. Studies by Carter and Goss20 and Carter et al.21 investigated the effect of tranexamic mouthwash after tooth extraction. The first study20 randomly assigned patients to a 5-day or a 2-day regimen of 4.8% tranexamic acid mouthwash applied 4 times a day. Minor bleeding was observed in only 3 patients and there were no significant differences between the groups. The second study21 compared a 7-day regimen of 4.8% tranexamic acid mouthwash with autologous fibrin glue that was applied to the extraction sockets and over the sutures. Minor bleeds were observed in only 2 patients in the autologous fibrin glue group, with no significant differences among the groups. Both studies concluded that the compared interventions were similarly effective. Halfpenny et al.23 compared the effectiveness of the fibrin adhesive, Beriplast P (CSL Behring, King of Prussia, Penn. ), with the resorbable oxycellulose dressing, Surgicel (Johnson & Johnson, New Brunswick, N.J.) after dental extractions. After extraction, sockets were dressed with 1 of the hemostatic agents and then sutured with softgut. Bleeding was observed in 3 patients in total: 2 required additional suturing and 1 required admission to hospital because of more significant bleeding. The low bleeding rate did not allow statistical testing of the difference. The authors concluded that both treatments were equally effective in preventing bleeding after dental extractions. The study by Evans et al.22 randomly assigned patients to continue or discontinue warfarin 2 days before dental extraction. The authors reported a higher rate of bleeding in patients who continued warfarin (26%) than in those who stopped (14%), although the difference was neither statistically nor clinically significant. Two patients in the warfarin continuation group required a hospital visit to stop the bleeding. The authors concluded that warfarin can be safely continued in patients who undergo dental extraction in a hospital setting if their INR is below 4.1. Optimal management strategies for patients taking oral anticoagulants and undergoing dental procedures have been discussed extensively in the past.2,8-10,24,25 However, there is still a controversy over whether warfarin should be routinely discontinued or if additional hemostatic agents should be used.9,10 Our systematic review summarizes RCTs that compared any hemostatic management of patients taking warfarin and undergoing single or multiple dental extractions. Only 6 RCTs, conducted between 2001 and 2007, were found; none were conducted in North America. Although these studies rated highly in terms of quality of evidence, we identified some risks of bias. The most significant source of potential bias was the lack of blinding. The role of patient blinding was crucial in these studies, as bleeding was first reported by patients and then reviewed by treating doctors, if necessary. Although blinding patients to duration of tranexamic acid mouthwash use or to discontinuation of warfarin may seem to be impractical, it is still possible to achieve adequate blinding by using a placebo treatment. Only 1 study reported blinding of outcome assessors,17 and 1 reported partial blinding of personnel.19 Inadequate blinding in the included studies could have introduced reporting and measurement biases. The average number of dental extractions per patient varied from 1.5 to 6.5, a significant range, especially if one considers potential associated risks of surgical intervention and post-surgical complications. However, past studies have not found an association between risk of bleeding and number of extracted teeth among patients on antithrombotic therapy.27,28 Studies included in our review also varied in type of extractions, such as simple or surgical. For example, extracting molars is generally more traumatic than extracting incisors and may lead to an increased risk of bleeding. Similarly, complex extractions involving the raising of gingival flaps and bone removal may be associated with an increase in bleeding compared with simple extractions. Unfortunately, none of the reviewed studies reported this level of detail. The hemostatic agents (not considering sutures) compared in the studies were Histoacryl glue,19 gelatin sponge,19 4.8% tranexamic acid mouthwash,20,21 autologous fibrin glue,21 a fibrin adhesive (Beriplast P)23 and a resorbable oxycellulose dressing (Surgicel).23 Patients in these studies continued to receive warfarin pre- and postoperatively (except the negative control group in 1 of the studies whose members had never been on warfarin). In only 1 study was a significant difference in postoperative bleeding observed: Histoacryl glue was found to be more effective than gelatin sponge.19 A 2-day regimen of 4.8% tranexamic mouthwash compared with a 4-day regimen,20 a 7-day 4.8% tranexamic mouthwash regimen compared with autologous fibrin glue21 and Beriplast P compared with Surgicel23 did not result in any differences in the risk of postoperative bleeding in patients taking warfarin. The availability and applicability of all these agents in Canada must be further considered. For example, Beriplast P is not available in Canada. Similarly, tranexamic acid mouthwash is not readily available, is relatively expensive and largely relies on patient compliance as multiple mouth rinses are required. The fabrication of autologous fibrin glue involves the acquisition of the patient's blood 1–2 weeks in advance,21 limiting its practicality. Histoacryl glue is only effective for wounds in which the edges can be approximated, its use is technique sensitive (an exothermic reaction may occur during polymerization) and it may pose an occupational hazard for dental staff.29 Surgicel, in contrast, is more widely available, is easier to administer and is less costly compared with other local agents. No study compared the use of hemostatic agents (while continuing warfarin) with warfarin discontinuation, limiting any conclusion regarding the effectiveness of these agents in preventing postoperative bleeding as stated in the American College of Chest Physicians' guideline.10 The 2 studies that evaluated warfarin continuation versus discontinuation 2 days before extractions17,22 did not report any significant difference in postoperative bleeding between the groups, supporting the conclusion that dental extractions can be performed safely without alteration of warfarin dose if INR is within the therapeutic range. With the increasing global burden of atrial fibrillation40 and stroke,41 future research should address the management of patients undergoing tooth extraction whose INR values are above the therapeutic range. In addition, future trials should compare the addition of a hemostatic agent to the current anticoagulant regimen with its discontinuation. Currently, warfarin is still the most widely used medication in patients who need continuous anticoagulation therapy. However, as the new oral anticoagulants are increasingly becoming part of the recommended standards of care,37,42,43 new clinical trials should evaluate their impact on dental patient outcomes and their optimal management. In conclusion, the results of our systematic review indicate that a patient whose INR is within the therapeutic range can safely continue taking the regular dose of warfarin. Local hemostatic agents were not significantly different in reducing the risk of postoperative bleeding, except for gelatin sponges, which appear superior to Histoacryl glue. There is no evidence to support or reject the superiority of local hemostatic agents to warfarin discontinuation. Although not specifically supported in our review, a more careful approach should be taken to patients with INR outside the therapeutic range, where an additional consultation with the treating physician would further guide optimal management. Further evidence is needed to evaluate the risk of postoperative bleeding in dental patients with specific reference to the new generation of anticoagulants. Ms. Jacobs Weltman is a student, faculty of dentistry, University of Toronto, Toronto, Ontario. Ms. Al-Attar is a student, faculty of dentistry, University of Toronto, Toronto, Ontario. Mr. Cheung is a student, faculty of dentistry, University of Toronto, Toronto, Ontario. Mr. Duncan is a student, faculty of dentistry, University of Toronto, Toronto, Ontario. Ms. Katchky is a student, faculty of dentistry, University of Toronto, Toronto, Ontario. Dr. Azarpazhooh is an assistant professor, faculty of dentistry, University of Toronto; assistant professor, Institute of Health Policy, Management and Evaluation, faculty of medicine, University of Toronto; and investigator, Toronto Health Economics and Technology Assessment Collaborative, University of Toronto, Toronto, Ontario. Dr. Abrahamyan is a clinical epidemiologist, Toronto Health Economics and Technology Assessment Collaborative, University of Toronto; and assistant professor, Leslie Dan Faculty of Pharmacy, University of Toronto, Toronto, Ontario. Acknowledgements: The authors thank Helen He and Joanna Bielecki for their guidance and help with the literature search and Drs. B. Cem Sener and Robert Klein for their clinical insights on the agents reviewed. Carter G, Goss AN, Lloyd J, Tocchetti R. Current concepts of the management of dental extractions for patients taking warfarin. Aust Dent J. 2003;48(2):89-96; quiz 138. Doonquah L, Mitchell AD. Oral surgery for patients on anticoagulant therapy: current thoughts on patient management. Dent Clin North Am. 2012;56(1):25-41, vii. Cavallari LH, Shin J, Perera MA. Role of pharmacogenomics in the management of traditional and novel oral anticoagulants. Pharmacotherapy. 2011;31(12):1192-207. Ansell J, Hirsh J, Hylek E, Jacobson A, Crowther M, Palareti G. Pharmacology and management of the vitamin K antagonists: American College of Chest Physicians Evidence-Based Clinical Practice Guidelines (8th edition). Chest. 2008;133(6 Suppl):160-98S. Linkins LA, Choi PT, Douketis JD. Clinical impact of bleeding in patients taking oral anticoagulant therapy for venous thromboembolism: a meta-analysis. Ann Intern Med. 2003;139(11):893-900. Kamoh A, Swantek J. Hemostasis in oral surgery. Dent Clin North Am. 2012;56(1):17-23, vii. 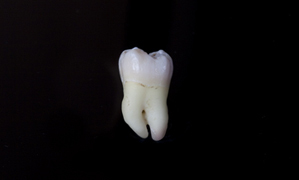 Randall C. Surgical management of the primary care dental patient on warfarin. Dent Update. 2005;32(7):414-6, 19-20, 23-4 passim. Aframian DJ, Lalla RV, Peterson DE. Management of dental patients taking common hemostasis-altering medications. Oral Surg Oral Med Oral Pathol Oral Radiol Endod. 2007;103 Suppl:S45.e1-11. Nematullah A, Alabousi A, Blanas N, Douketis JD, Sutherland SE. Dental surgery for patients on anticoagulant therapy with warfarin: a systematic review and meta-analysis. J Can Dent Assoc. 2009;75(1):41. Douketis JD, Spyropoulos AC, Spencer FA, Mayr M, Jaffer AK, Eckman MH, et al. Perioperative management of antithrombotic therapy: antithrombotic therapy and prevention of thrombosis, 9th ed: American College of Chest Physicians Evidence-Based Clinical Practice Guidelines. Chest. 2012;141(2 Suppl):e326-50S. McBee WL, Koerner KR. Review of hemostatic agents used in dentistry. Dent Today. 2005;24(3):62-5; quiz 65, 61. Higgins JPT, Altman DG, Sterne JAC, editors. Chapter 8: Assessing risk of bias in included studies. In: Higgins JPT, Green S, editors. Cochrane handbook for systematic reviews of interventions. Version 5.1.0 [updated March 2011]. The Cochrane Collaboration: 2011. Available from www.cochrane-handbook.org. Devani P, Lavery KM, Howell CJ. Dental extractions in patients on warfarin: is alteration of anticoagulant regime necessary? Br J Oral Maxillofac Surg. 1998;36(2):107-11. Al-Mubarak S, Rass MA, Alsuwyed A, Alabdulaaly A, Ciancio S. Thromboembolic risk and bleeding in patients maintaining or stopping oral anticoagulant therapy during dental extraction. J Thromb Haemost. 2006;4(3):689-91. Al-Mubarak S, Al-Ali N, Abou-Rass M, Al-Sohail A, Robert A, Al-Zoman K, et al. Evaluation of dental extractions, suturing and INR on postoperative bleeding of patients maintained on oral anticoagulant therapy. Br Dent J. 2007;203(7):E15; discussion 410-1. Cakarer S, Eyüpoğlu E, Günes ÇÖ, Küseoğlu BG, Berberoğlu HK, Keskin C. Evaluation of the hemostatic effects of Ankaferd blood stopper during dental extractions in patients on antithrombotic therapy. Clin Appl Thromb Hemost. 2013;19(1):96-9. Al-Belasy FA, Amer MZ. Hemostatic effect of n-butyl-2-cyanoacrylate (Histoacryl) glue in warfarin-treated patients undergoing oral surgery. J Oral Maxillofac Surg. 2003;61(12):1405-9. Carter G, Goss A. Tranexamic acid mouthwash — a prospective randomized study of a 2-day regimen vs 5-day regimen to prevent postoperative bleeding in anticoagulated patients requiring dental extractions. Int J Oral Maxillofac Surg. 2003;32(5):504-7. Carter G, Goss A, Lloyd J, Tocchetti R. Tranexamic acid mouthwash versus autologous fibrin glue in patients taking warfarin undergoing dental extractions: a randomized prospective clinical study. J Oral Maxillofac Surg. 2003;61(12):1432-5. Evans IL, Sayers MS, Gibbons AJ, Price G, Snooks H, Sugar AW. Can warfarin be continued during dental extraction? Results of a randomized controlled trial. Br J Oral Maxillofac Surg. 2002;40(3):248-52. Halfpenny W, Fraser JS, Adlam DM. Comparison of 2 hemostatic agents for the prevention of postextraction hemorrhage in patients on anticoagulants. Oral Surg Oral Med Oral Pathol Oral Radiol Endod. 2001;92(3):257-9. Patatanian E, Fugate SE. Hemostatic mouthwashes in anticoagulated patients undergoing dental extraction. Ann Pharmacother. 2006;40(12):2205-10. Scully C, Wolff A. Oral surgery in patients on anticoagulant therapy. Oral Surg Oral Med Oral Pathol Oral Radiol Endod. 2002;94(1):57-64. Hirsh J, Fuster V, Ansell J, Halperin JL. American Heart Association/American College of Cardiology Foundation guide to warfarin therapy. Circulation. 2003;107(12):1692-711. Morimoto Y, Niwa H, Minematsu K. Risk factors affecting postoperative hemorrhage after tooth extraction in patients receiving oral antithrombotic therapy. J Oral Maxillofac Surg. 2011;69(6):1550-6. Morimoto Y, Niwa H, Minematsu K. Risk factors affecting hemorrhage after tooth extraction in patients undergoing continuous infusion with unfractionated heparin. J Oral Maxillofac Surg. 2012;70(3):521-6. Leggat PA, Kedjarune U, Smith DR. Toxicity of cyanoacrylate adhesives and their occupational impacts for dental staff. Ind Health. 2004;42(2):207-11. Kovich O, Otley CC. Thrombotic complications related to discontinuation of warfarin and aspirin therapy perioperatively for cutaneous operation. J Am Acad Dermatol. 2003;48(2):233-7. Blacker DJ, Wijdicks EF, McClelland RL. Stroke risk in anticoagulated patients with atrial fibrillation undergoing endoscopy. Neurology. 2003;61(7):964-8. Dodson TB. Managing anticoagulated patients requiring dental extractions: an exercise in evidence-based clinical practice. Evid Based Dent. 2002;3:23-6. Dunn AS, Turpie AG. Perioperative management of patients receiving oral anticoagulants: a systematic review. Arch Intern Med. 2003;163(8):901-8. Garcia DA, Regan S, Henault LE, Upadhyay A, Baker J, Othman M, et al. Risk of thromboembolism with short-term interruption of warfarin therapy. Arch Intern Med. 2008;168(1):63-9. Todd DW. Anticoagulated patients and oral surgery. Arch Intern Med. 2003;163(10):1242. Skanes AC, Healey JS, Cairns JA, Dorian P, Gillis AM, McMurtry MS, et al. Focused 2012 update of the Canadian Cardiovascular Society atrial fibrillation guidelines: recommendations for stroke prevention and rate/rhythm control. Can J Cardiol. 2012;28(2):125-36. Miller CS, Grandi SM, Shimony A, Filion KB, Eisenberg MJ. Meta-analysis of efficacy and safety of new oral anticoagulants (dabigatran, rivaroxaban, apixaban) versus warfarin in patients with atrial fibrillation. Am J Cardiol. 2012;110(3):453-60. Dentali F, Riva N, Crowther M, Turpie AG, Lip GY, Ageno W. Efficacy and safety of the novel oral anticoagulants in atrial fibrillation: a systematic review and meta-analysis of the literature. Circulation. 2012;126(20):2381-91. Chugh SS, Havmoeller R, Narayanan K, Singh D, Rienstra M, Benjamin EJ, et al. Worldwide epidemiology of atrial fibrillation: a Global Burden of Disease 2010 Study. Circulation. 2013;129(8):837-47. Feigin VL, Forouzanfar MH, Krishnamurthi R, Mensah GA, Connor M, Bennett DA, et al. Global and regional burden of stroke during 1990–2010: findings from the Global Burden of Disease Study 2010. Lancet. 2014;383(9913):245-54. Kirchhof P, Ammentorp B, Darius H, De Caterina R, Le Heuzey JY, Schilling RJ, et al. Management of atrial fibrillation in seven European countries after the publication of the 2010 ESC Guidelines on atrial fibrillation: primary results of the PREvention oF thromboemolic events — European Registry in Atrial Fibrillation (PREFER in AF). Europace. 2014;16(1):6-14. Wann LS, Curtis AB, Ellenbogen KA, Estes NA, Ezekowitz MD, Jackman WM, et al. Management of patients with atrial fibrillation (compilation of 2006 ACCF/AHA/ESC and 2011 ACCF/AHA/HRS recommendations): a report of the American College of Cardiology/American Heart Association Task Force on practice guidelines. Circulation. 2013;127(18):1916-26. Note: NSAID = non-steroidal anti-inflammatory drug. Al-Belasy and Amer19 2 g amoxicillin or 500 mg azithromycin was administered orally 1 h before surgery. Simple multiple tooth extractions were performed and involved raising of a mucoperiosteal flap as well as alveoloplasty under local anesthesia, using 3% mepivacaine HCl. Post-surgical hemostasis and primary closure were achieved using a gelatin sponge and resorbable sutures (catgut 000) in all patients. Patients received postoperative instructions and were prescribed either amoxicillin (500 mg every 8 h), or azithromycin (250 mg twice daily for 3 days). Patients were instructed to use acetaminophen for postoperative analgesia, and to avoid aspirin and other NSAIDs for 10 days postoperatively. Patients were also instructed to contact the oral surgeon in the advent of uncontrolled bleeding (not controlled by 20 minutes of local compression with a gauze pad). Al-Mubarak et al.17 Dental extractions were performed under local anesthesia using 2% lidocaine HCl with 1:100 000 epinephrine. Gauze and finger pressure was applied for 6–10 minutes on the wound site and gauze was changed when needed. Clean gauze was kept on the extraction site for a minimum of 30 minutes and replaced with a new one at the end of the appointment. Wound closure procedures for patients in groups 3 and 4 included non-resorbable sutures. Patients were provided written and verbal postoperative instructions. Patients returned for 3 follow-up sessions (1, 3 and 7 days after extractions). Postoperative blood tests were performed to measure INR at day 1, 3 and 7. Carter and Goss20 Patients with cardiac valvular disease received antibiotic prophylaxis according to the institutional protocol. Dental extractions were done under local anesthetic, using 2% lignocaine with epinephrine 1:80 000. After tooth extraction, the region was irrigated with 4.8% tranexamic mouthwash. An oxidized cellulose mesh (Surgicel, Johnson & Johnson), soaked in tranexamic acid, was also placed in the base of the sockets prior to suturing with resorbable sutures (4.0 Vicryl, Ethicon, Johnson & Johnson). Patients also received a bag containing a supply of tranexamic solution (for their intervention), analgesics (paracetamol or paracetamol/codeine), gauze pads, a list of postoperative appointments and instructions. Patients were asked to maintain a liquid diet the first day after surgery and to refrain from eating or drinking for the first hour following rinsing with tranexamic acid. Carter et al.21 Patients with cardiac valvular disease received antibiotic coverage in accordance with the institutional protocol. Extractions were performed under local anesthesia using 2% lignocaine with 1:80 000 epinephrine. Post-extraction analgesics included paracetamol or paracetamol/codeine. All patients were instructed to not eat or drink during the first hour post-extraction and were advised to maintain a liquid diet on the first day postoperatively. Patients were also provided with a list of other postoperative instructions. Evans et al.22 Antibiotic prophylaxis was provided to patients at risk of endocarditis in accordance with British National Formulary guidelines. Dental extractions were done under local anesthetic, using 2% (20 mg/mL) lignocaine HCl with 1/80 000 (12.5 μg/mL) epinephrine. Where necessary, a minimum sized mucoperiosteal flap was raised and a minimum amount of bone was removed. Each extraction socket was packed with oxycellulose dressing (Surgicel) and sutured with 3/0 polyglactin 910 (Vicryl) sutures. Patients were then given a gauze swab to bite on for 10 minutes and were observed for another 10 minutes before being discharged. All patients were given verbal and written instructions, as well as contact information in case of emergency. Paracetamol was prescribed as a postoperative analgesic (1 g every 6 h, as required), and patients were advised not to use any other forms of analgesia. All patients were given a review appointment 1 week after surgery. Halfpenny et al.23 Antibiotic prophylaxis was used when indicated according to the British National Formulary guidelines. Where necessary, the extraction included raising a mucoperiosteal flap, removing some bone and dividing the root with a drill. Extractions were performed under local anesthesia using 2% lignocaine with 1:80 000 epinephrine or 3% prilocaine with felypressin. All extraction sites were sutured with softgut. Patients were instructed to bite on gauze to apply pressure and achieve hemostasis. For post-extraction analgesia, patients were instructed to avoid ASA and NSAIDs. In addition, patients were given instructions on what to do in case of postoperative bleeding, and arrangements for emergency treatment were reviewed. All patients were given a review appointment at 1 week, in the absence of any complications requiring earlier review.